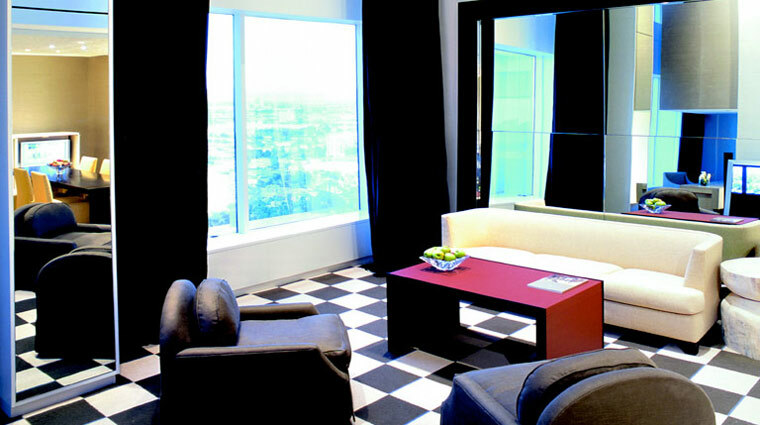 Occupying the top two floors of MGM Grand Hotel & Casino, the ultra-luxury boutique hotel within the hotel Skylofts overlooks the Las Vegas Strip. Tony Chi designed the suites to feature soothing neutral toned contemporary furnishings and every of-the-minute technological gadget you can imagine. A personal butler is dedicated to each guest and available 24 hours to satisfy any whim, from custom gourmet room service to in-room movies on demand. 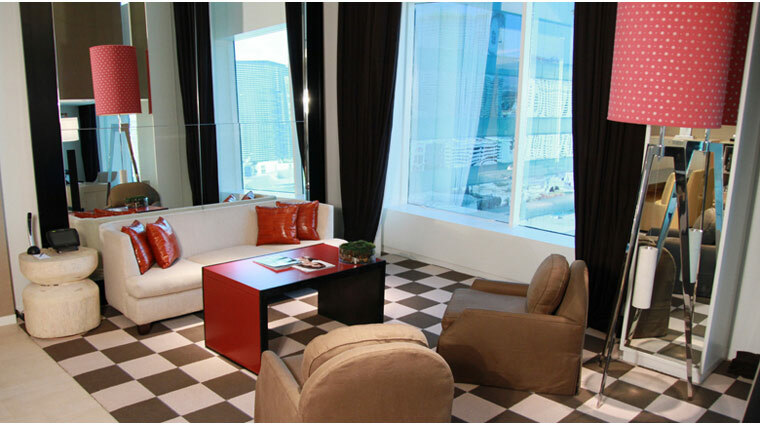 The hotel’s 51 luxury lofts offer gorgeous views through floor-to-ceiling glass windows, making your spacious one- to three-bedroom loft one of the best spots to take in all of Las Vegas. Skylofts' location right on the Strip also puts you within walking distance of all the entertainment and attractions that Las Vegas has to offer — many of which are located right outside your door within MGM Grand — only you can come and go through your own quiet and private entrance. Maybe it’s the fact that you enter Skylofts on the 29th-floor lobby or that it’s an exclusive hotel within another hotel, but there’s no denying that the sleek interior design and personalized service exude a sense of chic. Many hotels on the Strip are known for their personalized service, but Skylofts at MGM Grand sets itself apart from the moment you arrive at the airport; the hotel can send a staff member to greet you and transport you to the hotel in a Rolls-Royce Ghost. While staying at Skylofts at MGM Grand, you’ll have your own private butler to make your stay more comfortable and convenient, and these guys are pros. They’ll handle everything from small, random details like stocking your room with a particular item to arranging a small dinner party in your loft. 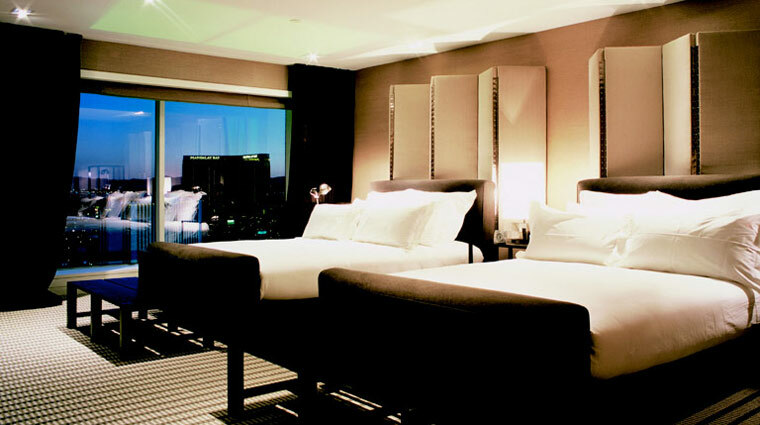 Because the Five-Star Skylofts is a hotel within a hotel, there are a few amenities you may not be able to find inside Skylofts itself, but you can certainly access at MGM Grand. Skylofts doesn’t have a pool, but guests have complimentary access to the MGM Grand Pool Complex, which features five pools, a lazy river and private cabanas, as well as Wet Republic, the MGM Grand’s club pool with a sundeck and DJs. The hotel doesn’t have its own restaurants but guests are a short walk from the specialty and casual dining options at MGM Grand. A few restaurants — such as Craftsteak and FiAmma — also offer dinner through Skylofts’ in-room menu. The regular in-room dining menu is also very good. 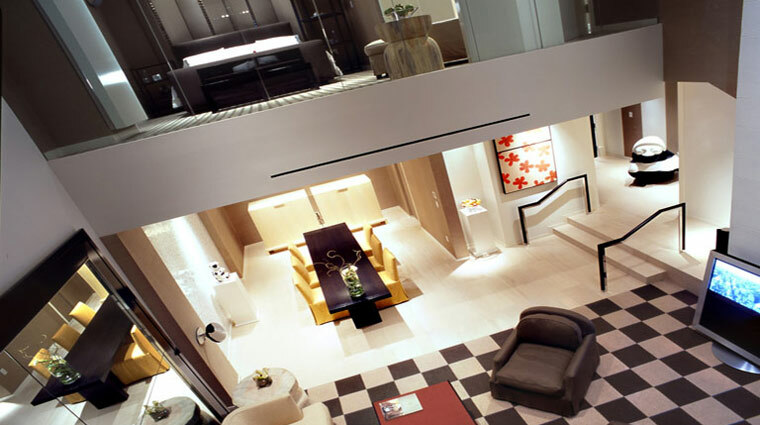 All of the 51 “rooms” at Skylofts at MGM Grand are actually two-floor lofts designed to feel more like Manhattan apartments than Las Vegas hotel rooms. Lofts at the Forbes Travel Guide Five-Star hotel come in one-, two- and three-bedroom varieties, and each is decked out with limestone floors and stairs and high-quality upholstery and fabrics throughout. Fun design elements, such as the Colombian artwork and black and white statues, give each a swanky residential feel. The beds are covered in soft, all-white Anichini linens and six plump pillows, and bedside there’s a comfy chaise lounge with soft Kashwére blankets, perfect for cuddling up to read. See the 460-foot Eiffel Tower at Paris Las Vegas. It’s about half the size of the original in France, but the view from the top is still impressive. A windowed elevator zooms 50 floors up to the open-air observation deck, which boasts 360-degree views of the city skyline. If you head to the west-facing deck, you can catch a water show at the Fountains of Bellagio; they start every 15 to 30 minutes, depending on the time of day. Las Vegas offers plenty of over-the-top performances and an overwhelming variety of shows within a small radius. That holds true for Cirque du Soleil. The seven permanent Cirque du Soleil show in Vegas include KÀ at the MGM Grand and the aquatic-themed O at the Bellagio. For a little piece of Europe in the desert, head to the Venetian and take a gondola ride. You can choose to ride in the indoor or outdoor canals, and though you’ll pass by glamorous shops instead of historic buildings. Even if you’re not getting married, you can still enjoy watching couples getting hitched in Las Vegas’ infamous wedding district on the Strip. The Little White Wedding Chapel is among the most famous sites to say, “I do,” with an iconic wedding drive-through.